When the 1989 Chinese student movement broke out, Chen Wei was just a freshman in the Beijing Institute of Technology. From the very beginning, he actively participated in the campus activities in memory of Hu Yaobang. He helped leading about 4,000 of students from his school to attend the funeral at Tiananmen Square. Soon after, he played a key role in organizing an independent student organization at his school. At the end of April, he took a trip to his hometown in Sichuan to spread the messages from Beijing movement. When he got back to the capital, he joined the effort of the Dialogue Delegation as a representative from BIT but soon joined in the hunger strike. During that time, he fainted several times and had to be taken to hospitals. At the night of the massacre, he was on the streets trying to block the advancing troops. He later vividly described how he saw a girl being gunned down, execution style. Chen Wei returned to his hometown soon after the massacre. He attempted to form an underground organization but was soon captured. He was later released without charge after almost a whole year of detention. That's when he started his career and life intertwined with prison terms. In 1992, he was arrested for organizing opposition parties and sentenced to 5 years. After the completion of his term, he still continued his work in local and regional organizing and became a signatory of the Charter of 08. He was arrested this past February in a round of suppression in Sichuan. 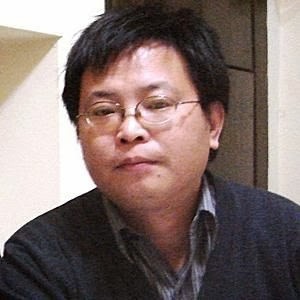 On December 23, 2011, Chen Wei was sentenced to 9 years in prison for "inciting of subversion."